Javeria Says Pakistan Women Cricket Must Have Women’s T20 League; Same As PSL. Why Hafeez decided to get retired from test cricket? Australian Women Cricketer mentioned Abbas in her tweets. Walking is the best exercise for cricket. 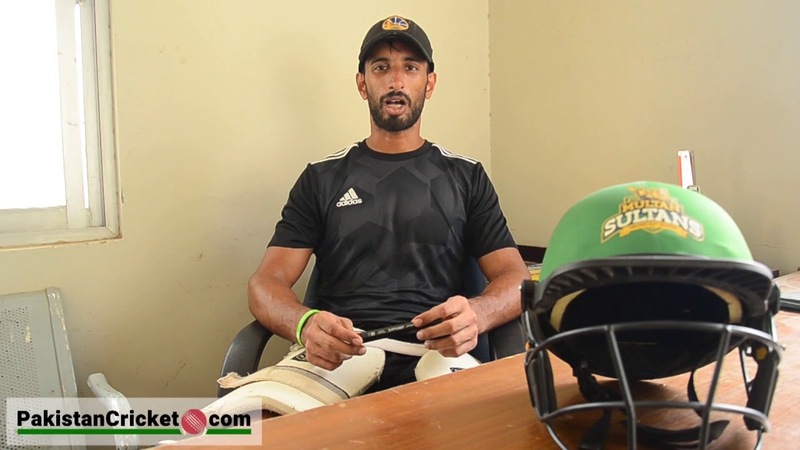 QUAID-E-AZAM TROPHY 2019 Karachi Blues 3rd Innings Win Against Quetta. SA vs PAK ODI SOUTH AFRICAN DEADLY DUO DALE AND QUINTON RETURN! Sarfraz Ahmed In Trouble After ‘Racist’ Remarks Against South African Batsman. PSL 2019 Opening Ceremony Dubai Matches Tickets Available Online. Shoaib Malik South Africa ODIs And 2019 World Cup. Quinton de Kock Hits Century Against Pakistan. PCB Accepts UAE Players Apology. Sarfraz Ahmed’s Criticism Upsets Pakistan Pace Attackers. Pakistan Cricket Greats Congratulate Indian Team For Australia Win. Shoaib Akhtar: Abbas Wasn’t Prepared for SA Test. PM Imran Khan Tweets Kohli & Team Mates. Ex-PCB Chief Zulfiqars Death Condoled. Mickey Arthur: South African Pitches Not Good For Test Cricket. Cricket Researcher & Anchor Jia Khan Joins Pakistan Cricket. South African Pace Attack Decimates Pakistan Cricket. Mani: Pakistan Cricket Tour Talks With SA Cricket Brass. PCB: ‘Ghost’ Tournaments Investigation Underway. SA Tour: Did Mickey Arthur Merit A Demerit? ICC World Cup 2019: Ticketing Blunder. SA Tour: Pakistan Missing Key Players. Dale Steyn Back On The Attack! Half Centurues By Imam, Haris Hands Victory to Pakistan in Warm Up of SA Tour. Cricket Australia Gives Tentative OK To Pakistan Cricket For Return. South Africa: Pakistan Cricket Face Tough Time. 2nd PCB Cricket Committee Meeting Convenes Without Inzamam, Mickey. Lahore Teams Lose in National T20 Cup As Akmal Brothers Exit. Pakistan Lose Semi-Final Against India in Emerging Teams Asia Cup. Mickey Arthur: Team Needs to “Toughen Up” for South Africa Series. 2 Pakistani Nominated to Participate in World Blind Cricket Council Executive Committee Elections. WELCOME ABOARD! Wasim Khan New Managing Director of PCB. Following In Their father's Footsteps. Shehzar, Waleed Keen to Represent Pakistan Cricket. Pakistan "A" Squad Announced for Series Against England Lions. Pakistan Cricket Fast Bowler, Family Injured in Car Accident. Indian Cricket Great Navjot Singh Sidhu Calls Pakistan His Second Home. PCB Accepting Bids for Sixth Team PSL Franchise Sell-off. Arthur Admits To His Mistake Regarding Hafeez. PCB Threatens to Cash Security Deposits of PSL Franchise if Dues Not Cleared. Former Pakistan Cricket Great Saleem Malik Pins Hopes on Umar, Hafeez for Pulling Pakistan Off its Batting Woes. Star Fast Bowler; Muhammad Abbas Not To Participate in Abu Dhabi Test. Maligned Match Fixing Scandal Ex-Coach Ejaz Ahmed Declared Head Coach of National Cricket Team for upcoming Emerging Asia Cup By PCB. Honorable Chief Justice of Pakistan Warns All Sports Broadcasting Media Houses of Strict Action If Pending Salaries Of ALL Employees Not Paid. Pakistan Ace Fast Bowler Muhammad Sami Honored by Punjabi Legends. Yasir Shah Hits Top Ten in ICC Test Rankings. Yasir Shah’s 14 Wicket Haul ‘Bowls’ New Zealand Over! Azhar Ali retires from ODI’s for Test Cricket Career. 7 children die in Street cricket Brawl; Is Street Cricket a Secure Sport? Umar Akmal for Pak World Cup 2019 Squad? Sarfraz gets thumbs up from Mani as PCB gears up for World Cup 2019. Pak VS NZ: thrilling encounter this year. Pakistan Women's Cricket Team Arch Rivals India get a seven-wicket win. Sarfraz Ahmed’s take On Future Outcome for Pakistan Cricket After Win Over Australia. Womens World T20 now a standalone event. Pakistan Cricket’s Ahmed Shehzad given an extended 6 weeks ban by PCB. The real 'Fakhar' for Pakistan? I haven't slept for the last six nights nobody will believe me, Sarfraz said. Mani’s proposition dismiss by the PM to designate Majid as CEO! We Will Fight India In A Legal Battle! The Quetta Gladiators won their 2ndconsecutive victory in the PSL 4 under the brinkmanship of Captain Sarfraz Ahmed with their latest win against the Islamabad United Today they are looking to keep their momentum strong. The decision was taken in lieu of the fact that in the current PSL 4 there were empty stadiums in the UAE. This prompted the Prime Minister Iman Khan to confirm that the 2020 Pakistan Super League will be held in Pakistan in its entirety. The Lahore Qalandars Pace Attacker Haris Rauf took 4 wickets with a brilliant bowling spell that brought Karachi Kings all out to their knees in defeat in the 5th match of the PSL 4 in Dubai. The 4th Pakistan Super League match between Islamabad United and Multan Sultans ended with a win for Multan Sultans in a thrilling match here at Dubai. In the Pakistan Super League PSL 4 2nd day 3rd fixture in Dubai the Quetta Gladiators defeated Peshawar Zalmi by 6 wickets. How to improve your cricket performance? © 2019 PakistanCricket.Com. All Rights Reserved.